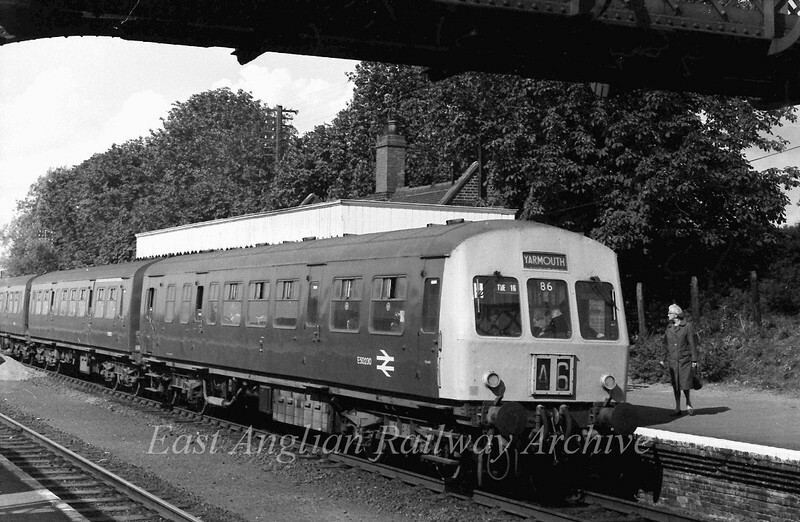 Three car class 101 stands at Reedham on a Yarmouth working. Leading car E50230. 11th September 1975.